A year before moving to Bordeaux I was here for a day. My friend was flying in from London and he was bringing a boxed-up bike with him on the plane. I had to buy a bike quickly so that we could ride out to the coast. I wanted to get something cheap (maybe second hand). 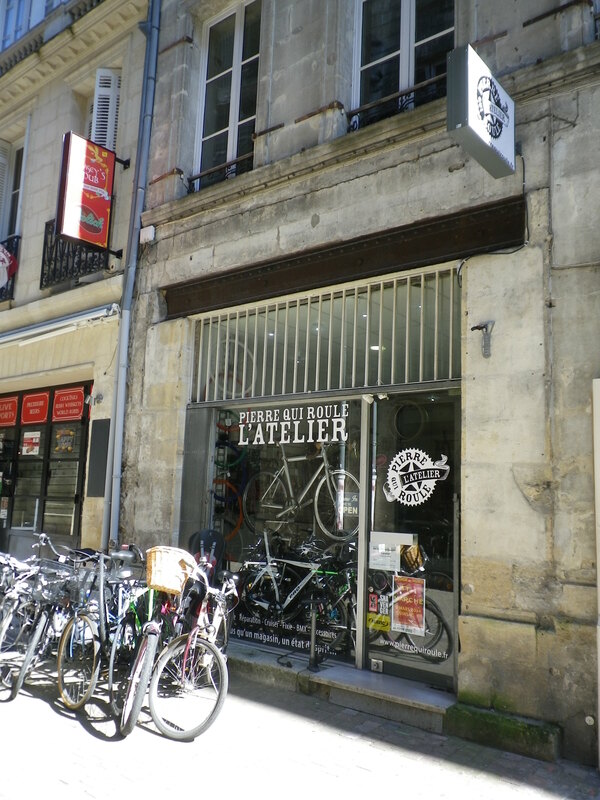 At the time it was hard to locate the right shops… So now that I live here, and know the place, I thought I would put together a comprehensive list of bicycle shops in Bordeaux. 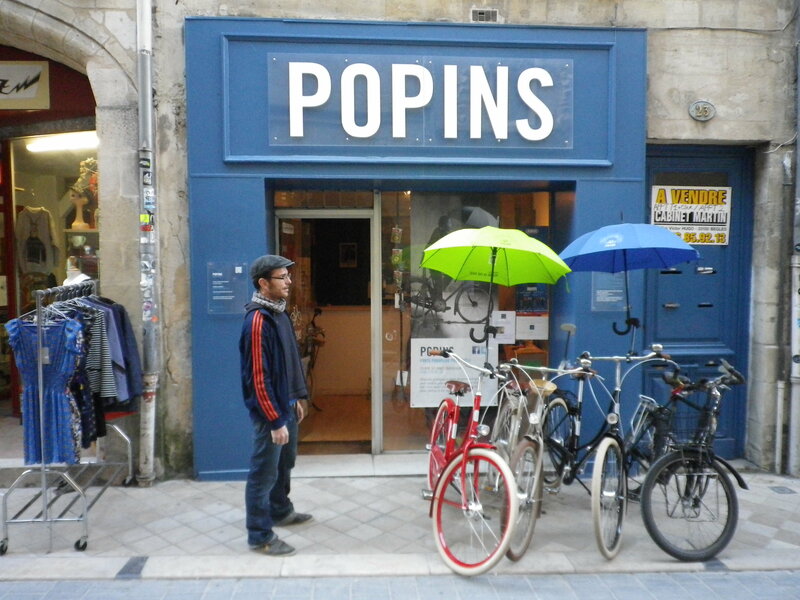 This little shop is more a customer facing touchpoint for the Popins brand – I did an interview with the inventor of the Popins umbrella holder for bikes late last year – but as you can see from this photo they also sell a small collection of top of the range Dutch bikes. [UPDATE 05/07/2016] New for summer of sixteen Cycles Dautry is a passion project well worth visiting. 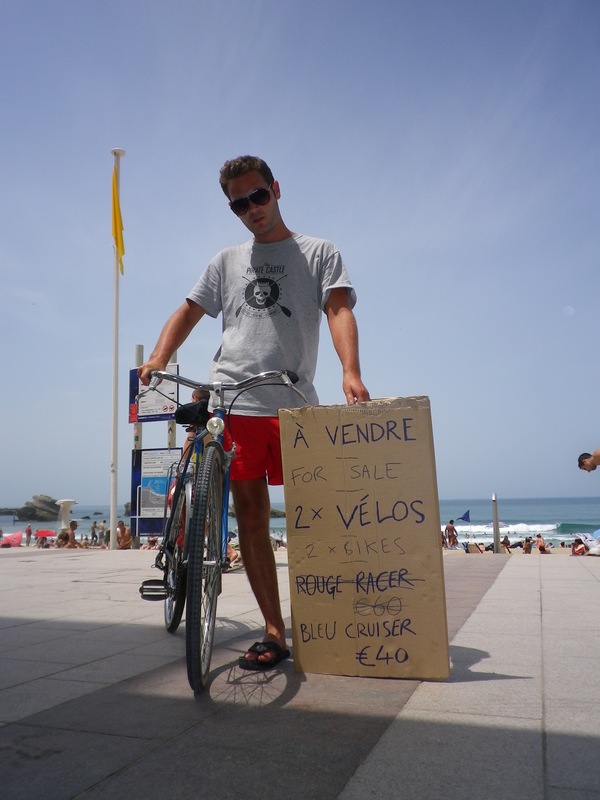 Reasonably priced vélos d’occasion that is second hand bikes with a vintage leaning. 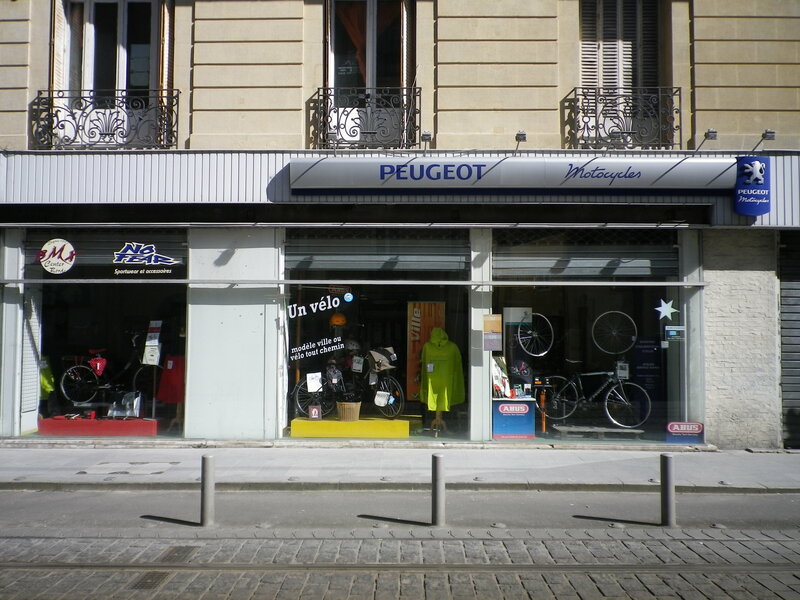 Most of these shops also offer additional services like bike hire or reparation services. 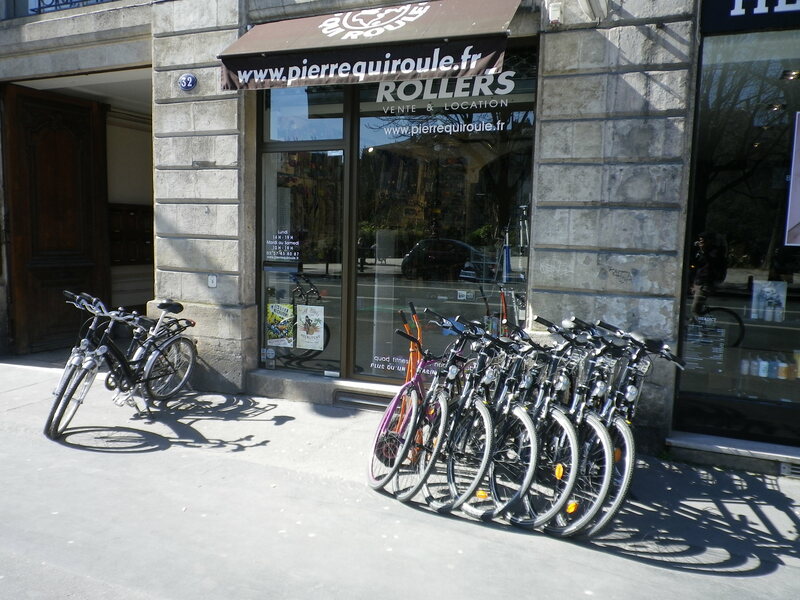 Pierre Qui Roule even has a seperate atelier at 16 rue Castelnau d’Auros, which is popular with all the fixie-kids. 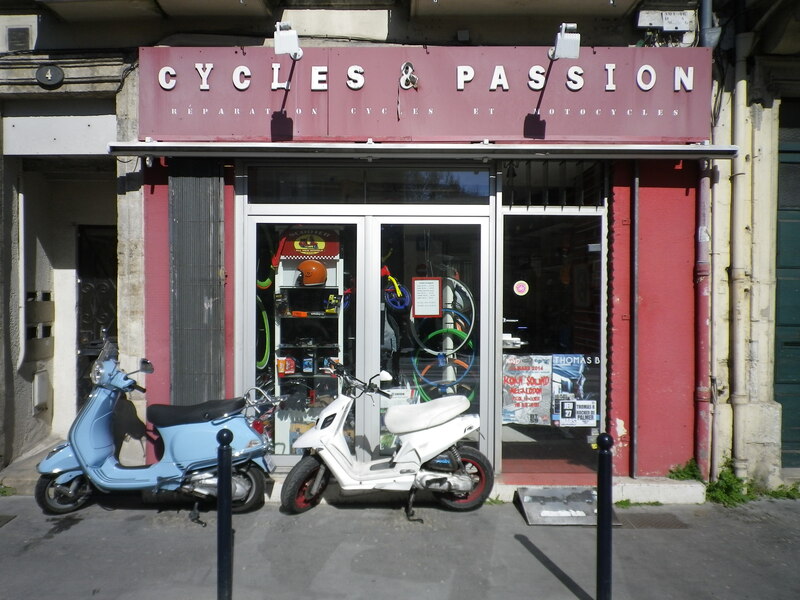 However if your bike does need fixing I would suggest going to see Hervé, le dernier vrai réparateur de vélos à Bordeaux. So that gives you a lot of choice. There is also often the option of picking up a cheap bike from most of the larger supermarkets. Or you could always do what I did, on the day that I was here two years ago, and buy an old blue cruiser for 40 euros from Bordeaux’s riverbank flea-market. It aint going to be the most comfortable or smooth ride but it’ll get you to Biaritz where you can just sell it on to someone like this Australien surfshop owner. Peace. 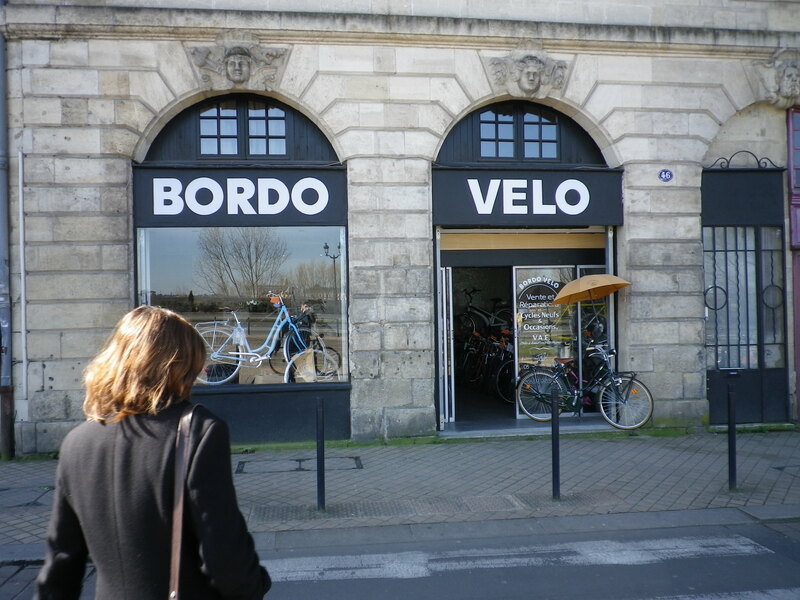 Tags: bike, Bordeaux, Cycling, Shops. Bookmark the permalink. That is funny, you are the second person to ask me that (check out the comments on my contact page) So it seems Ian had some luck with Espirit Cycles. …Sounds to me like airports should consider offering boxing bikes as a service. I read your post with interest as I too am arriving in Bordeaux and I need to buy a secondhand bike in order to cycle north for a camping cycling holiday. I have about 6hours on a Saturday to buy a secondhand bike (budget approx €100) where would you suggest my best one stop option is? I don’t need a great bike just something functional. When will you be coming? I have a friend who is leaving town soon and he has a few bikes that he wants to sell. I will get some more info soon as I just bumped into him tonight while he was on a break from work. Thanks for your mail but alas it has reached me too late…..I am sitting in a bar with a beer catching up on email with my shinny new bike parked outside. Cool, nice one, just out of interest, where did you buy it from in the end? Well due the lack of time I gave myself to really source a suitable bike and a few frustrating issues like seeing the perfect bike advertised on the street but with a phone number that is never answered I actually just when to Decathlon and brought a suitable machine for about 140euro. This wasn’t really what I had in mind as I was hoping to find something more characterful but the ‘Rockrider five.zero’ did work well over the 150 km journey with full camping luggage. I am now back in Oxford UK and have a perfect pre-owned Rockrider five.zero with just about 200KM under it’s wheels if anybody know anyone who needs a bike! Hi, thanks for posting a comprehensive list of shops where we can buy a bike. I just arrived in Bordeaux last August and am also planning to buy a bike. 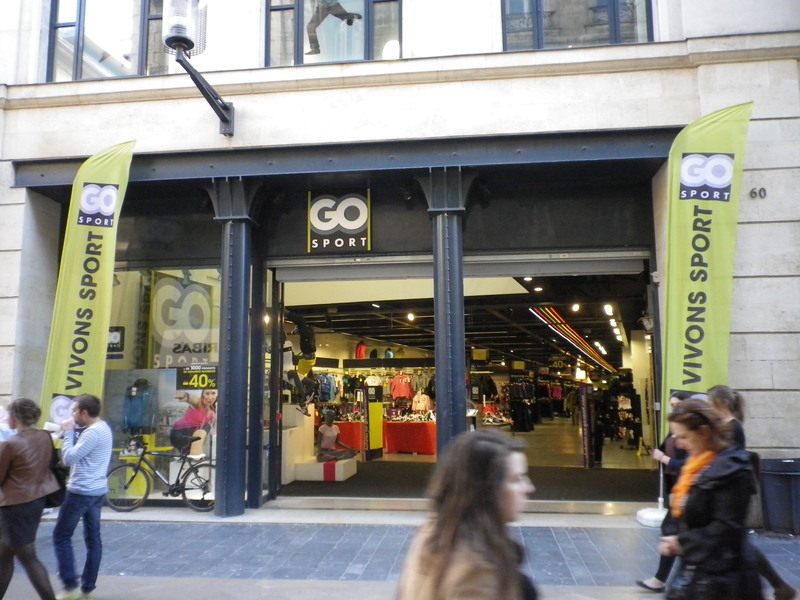 Do these shops also sell second hand bikes? Or is your friend still selling his bikes? My budget is just around 60 to 80 euros. Thanks a lot. I’m 170 cm tall by the way, Thanks. My friend is selling his bike I think yes. He left yesterday, but I think he left it in the hands of his flatmates. I will look into it. I think he wanted a little over your budget (like 120 or something) but it is a nice one. I’ll look into it and get back to you. What is your e-mail? You can check out this thread http://forum.velotaf.com/topic/22089-acheter-un-velo-a-bordeaux/ (but I won’t translate it for you, my english is too rusty). 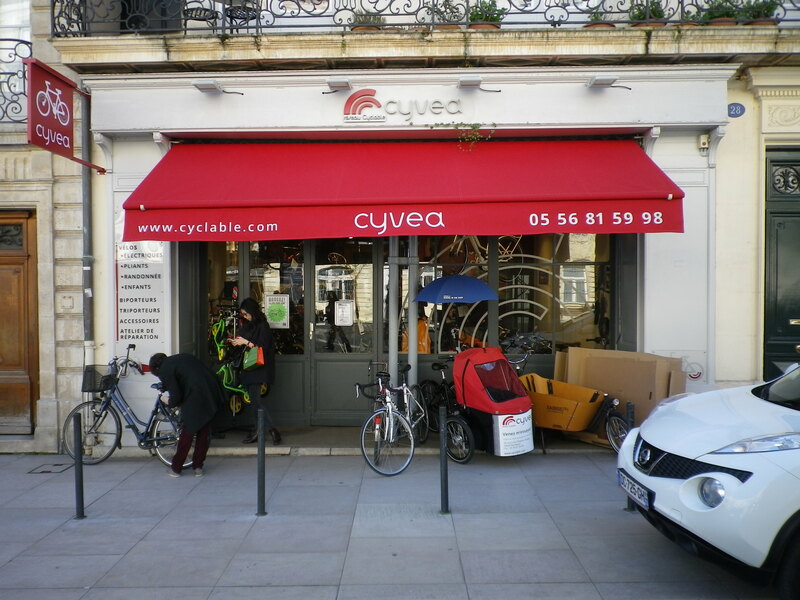 It seems that the Merignac shop named “Culture Vélo” is one of the best around. I’ve cycled the part between Toulouse and Beziers. Its a nice cycle but the track becomes a very lumpy dirt path not long after Carcasonne. I’d suggest using the roads for a bit at that point. 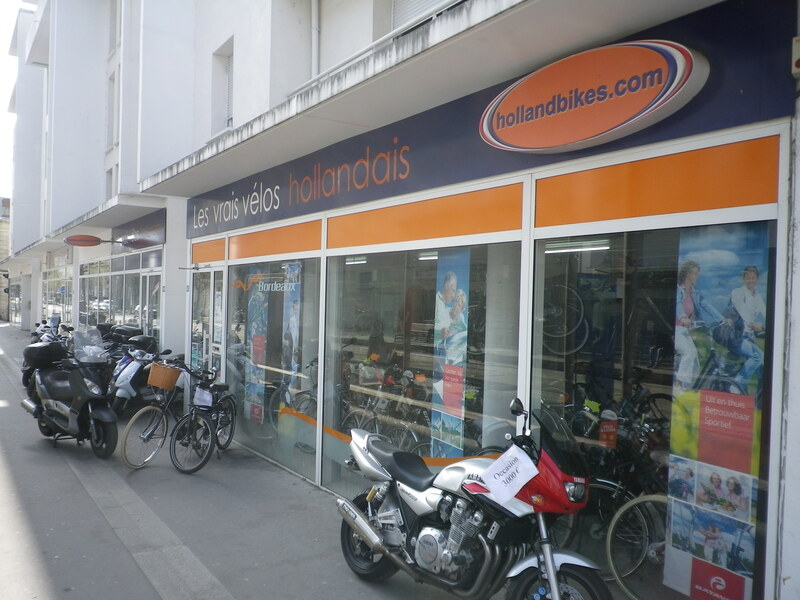 As far as bikes finding something decent and second hand is kind of tricky, there is Leboncoin.fr but second hand bikes aren’t always that cheap on there. Might be worth just splashing out a bit more and getting something reasonable from Decathlon. Chrisopher! 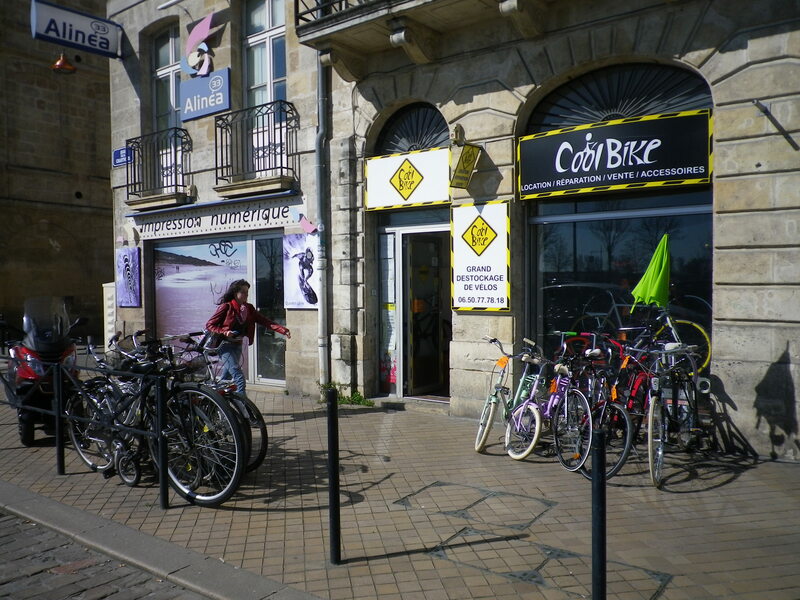 Can you tell me where is the best place in Bordeaux to buy a vintage road bike (late 80’s – 90’s)? Vitus, D.Lous, and other EU brands. Hi Vince, how long are you in Bordeaux for. I might be able to get you one. I’m guessing your looking for a mountain bike if your doing the cameno? 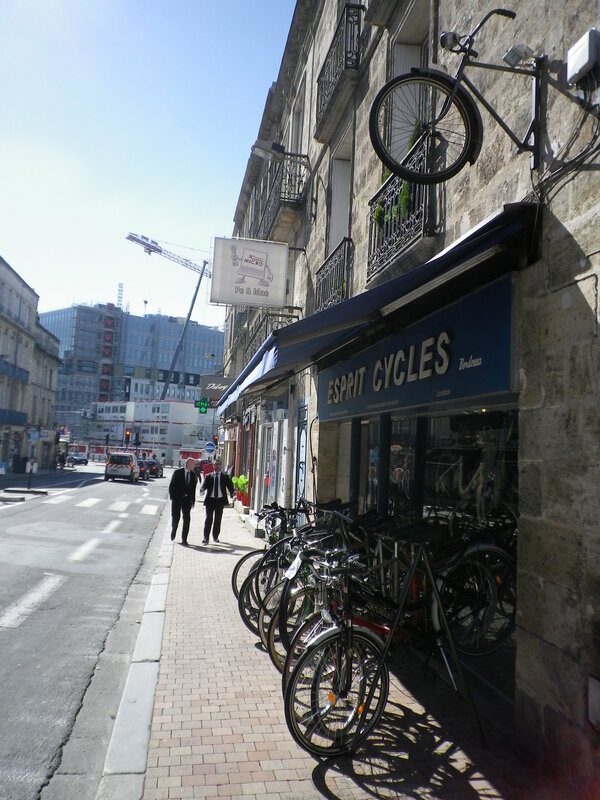 What a great find… Stumbled over your site trying to work out where to buy or rent a bike in Bordeaux. I am flying in early April, and plan to cycle Bordeaux to Sete over 3-4 weeks. You wouldn’t by any chance know of a 2nd hand touring bike for sale? Otherwise which shop would you recommend to buy a reasonable but cheap bike please. Your help would be much appreciated! Glad you like my blog. I actually do up bikes myself so maybe if you give me some idea of a budget I can try to pick something up and get it into good working order by the time you arrive. I’ve ridden part of that trip before (Toulouse to Bezier) and its great for the most part but as you approach Bezier the path turns into a narrow dirt track with lots of roots making it very bumpy and rough riding. Anyway, if you’d like me to look into sorting you out with a bike to have waiting upon your arrival then drop me an e-mail at christophergjcooley@gmail.com and we can discuss a bit further what it is exactly you are after. Your bike shop blog is great. I am looking for 2 second hand Hybrid bikes. Medium gents and small/medium ladies in good condition. I will arrive in france early June for 3 months. Which shop would you recommend for good used bikes. Hi, Christopher. I am happy to find your site and all the info, and I would like your help, please! My family and I are going to stay in a country villa for 10 days this summer. The villa has 2 adults bike, and we need to buy a kids’ bike for my 8 yr old son and a child seat to attach to an adult bike. Can you tell us which shop(s) you would recommend to buy these, please? As we are not taking these home, we want the cheap ones (whether they are new or secondhand). We are staying in Bordeaux in early August for 3 days before going to the villa. Thank you in advance. 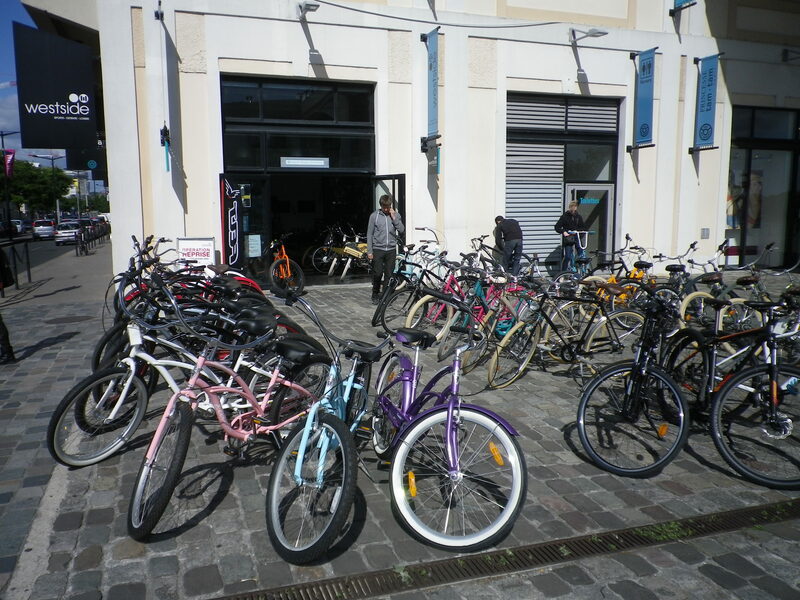 A second-hand bike shop in Bordeaux doesn’t really exist yet. I’ve heard there is one opening soon but for now I’d say your best bet is probably to go to one of the Decathlon stores, their bikes are reasonably enough priced and you’ll be able to find in one place no problem. The one out at Bordeaux Lac is big and easy enough to get to. What are you planning on doing with the bikes when you leave? Hi, Christopher! Thank you so much for your advice and I am so sorry for my late response! 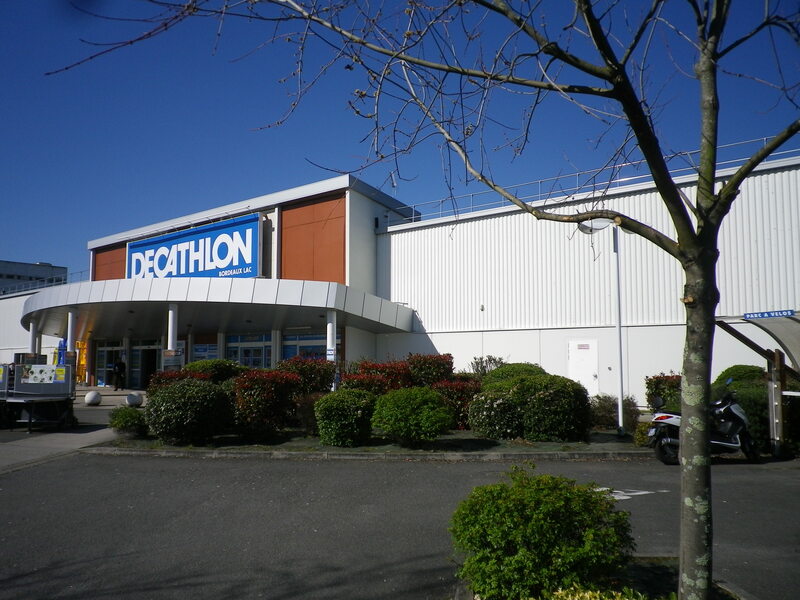 I guess we have to go to the Decathlon in Bordeaux Lac then altho I am a bit reluctant to buy them new. We will see how much they would cost. We are staying at our friend’s holiday villa where they spend the summer time every year (they come from England). Their kids are the friends of my sons’ so they say it would be better to have a bike for my 8 yr old so that they can bike together… Regarding your question, we will have to leave the bike and the child seat at my friend’s villa as they are too much for us to travel with. Do you know if there are any shops who would buy them after we use them for several days? I’m moving to Bordeaux for a semester, as an exchange student, in september. I have seen that you could help couple of folks to get a used/secondhand bike in budget. Is there any chance you could help me to get hooked up with one? I should be able to sort something out. Send me an e-mail with a few more details about the kind of bike you are looking for, your budget and when exactly you will want to pick it up. I’m in need of some help, I’m flying into Bordeaux and then cycle touring up to Nantes and back. I need somewhere to store a rigid bike box near the airport, do you have any ideas. I would be able to store it for you at my shop http://www.musettebordeaux.com but we are in the centre of the city, not out by the airport. I’m not sure where you could store it out there i’m afraid.